Diplo has been showing an interest in politics of late. Last month, he went to Cuba to play an historic concert—the first major performance by an American group in the country since Cuba and the U.S. became more friendly. Today the producer turned his focus to domestic politics, posting a Facebook video of a Bernie Sanders campaign spot soundtracked by "Revolution"—a 2014 collaboration between Diplo, Faustix & Imanos and Kai. 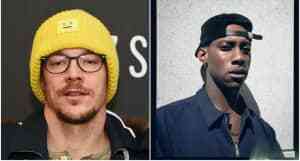 "So excited to be part of this," Diplo wrote. "#feelthebern #revolution. Make sure u go vote in the primaries." On Twitter, he added "the movement is powerful."